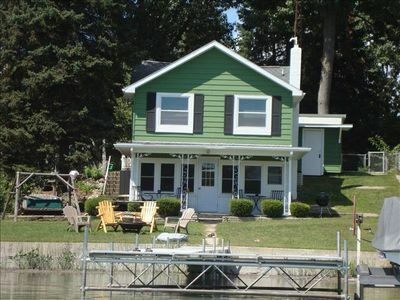 Located on all-sports Long Lake, this recently-renovated beautiful lakefront cottage includes: three bedrooms, two full bathrooms, a beautifully renovated open concept kitchen with stainless steel appliances including a 30 bottle wine refrigerator and other amenities, a cozy living room with amazing views of the lake, a basement lounge area with a 42 inch TV, a 750 square foot deck that overlooks the grass lawn and lake below with a gated locking system perfect for small children or dogs, an outdoor fire pit area, hammock and a gas grill. 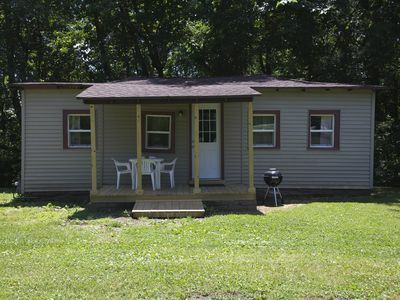 Home includes two televisions with cable, phone and internet; central air conditioning and heat; brand new washer and dryer for laundry needs. 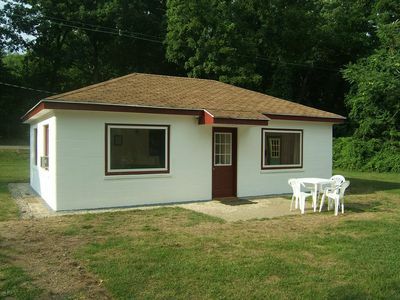 Perfect for six to eight guests. 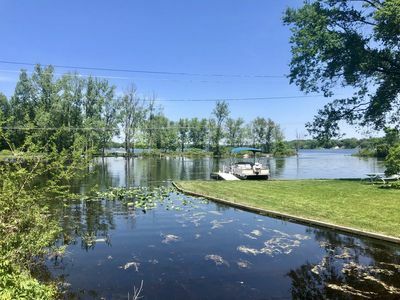 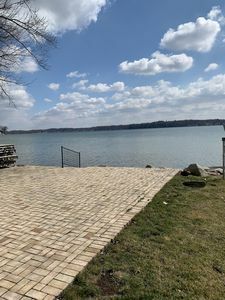 The lakefront features a wonderful sandy beach with two large platform docks that create an excellent and safe area for swimming and lounging with the family. 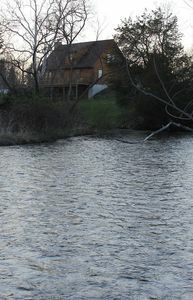 The dock is also perfect for lakefront fishing, watching the sun set or for parking a boat (rentals can be arranged). 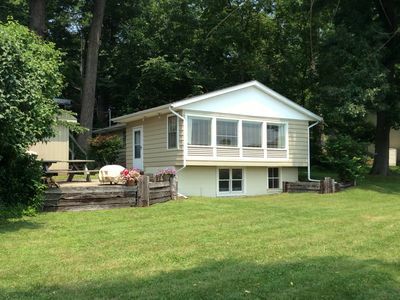 The lake side storage shed is filled with water toys and has a refrigerator. 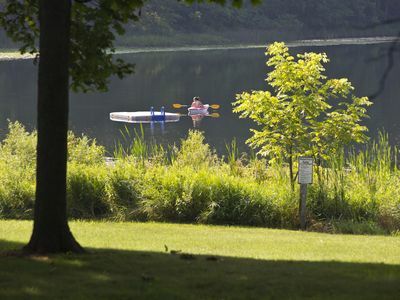 A canoe is also available upon request at no charge. 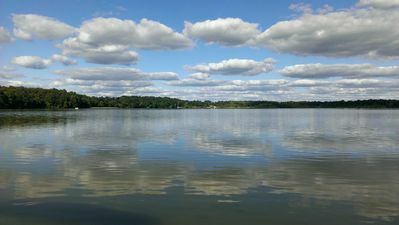 The lake is also great for children as the water is only a few inches deep when first stepping in from the beach. 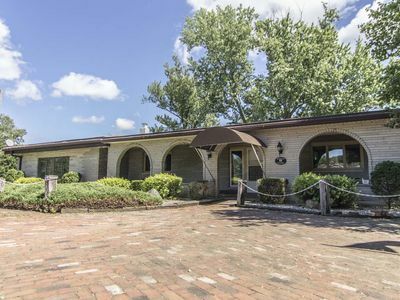 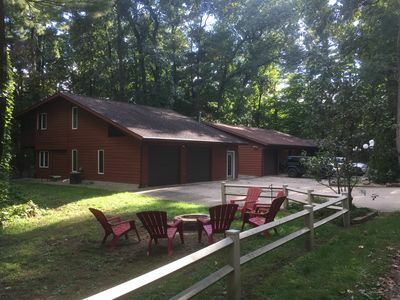 In addition to enjoying the lake life, guests can enjoy nearby amenities such as Corey Lake Farms (for berry picking and other produce purchases), nice restaurants (pizza, American, seafood), horseback riding, and downtown Three Rivers for everyday grocery purchases, petting zoos, etc. 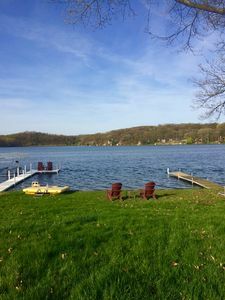 Several wineries and Lake Michigan beaches are less than an hour away and charming Saugatuck is only 1 1/2 hours away! 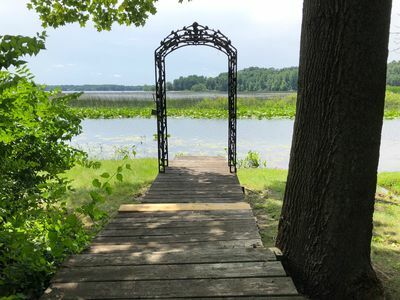 Perfect places for a day trip. 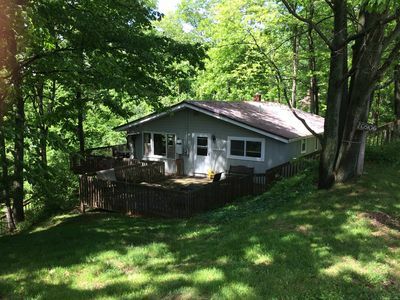 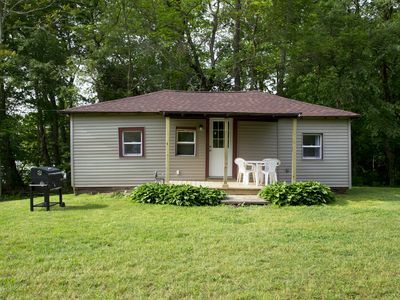 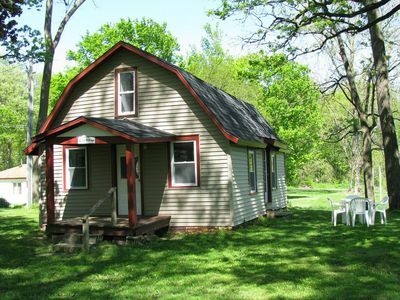 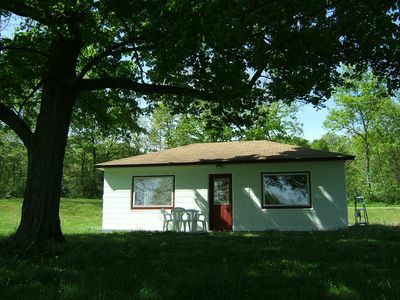 Rennovated Fisher Lake Cottage Available for Weekly Rent - Special June Rate! 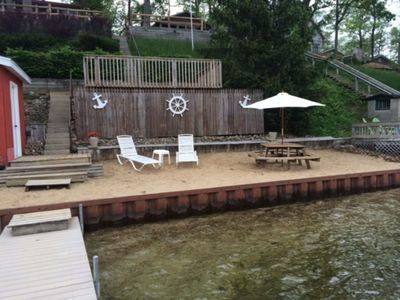 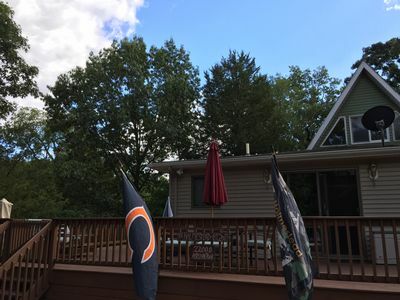 Rock 'n Roll - Lakefront Cottages On Semi-private Lake, Beach, Boats, Fun! 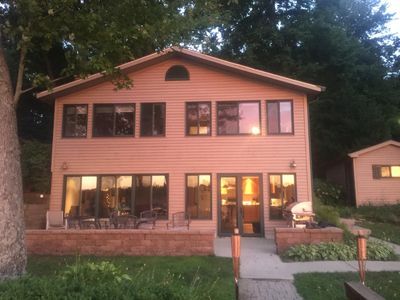 Gorgeous Klinger Lake house with beautiful sunsets.